Nothing personalizes a can coolie like having your photo printed on the side. Supply us with a quality photo and we will print it on your new can coolies. Family Reunion? Beach Party? Golf outing? Maybe you got a photo of last year's company picnic. 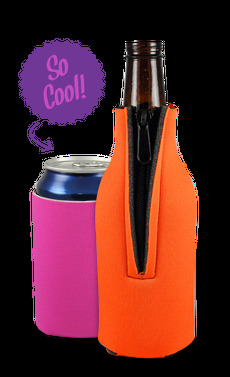 The options are endless of what you can print on the koozie with our full color printing. Your unique coolies will quickly become everyone's favorite take-a-way from the event. Printed on quality high-density material yet lightweight and collapsible for easy storing.